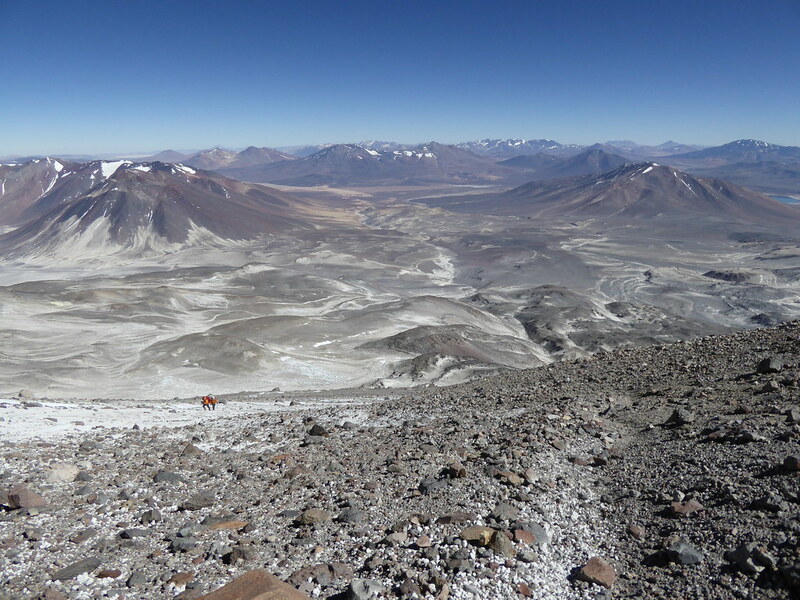 Ojos del Salado is the highest point on this planet that I have ever reached. And it will probably remain that way. It is the highest volcano in the world (and therefore it is the highest of the volcanic seven summits). It is (arguably) the highest active volcano in the world. The most recent known eruption was about 1,300 years ago, with a large margin of uncertainty. However, there is also some evidence for a minor ash emission in 1993 and there are fumaroles high on the mountain. It stands in the highest desert in the world – the Atacama – probably. Its average elevation in the Altiplano is higher than the Tibetan desert. It is the highest mountain in Chile. It holds the world’s highest lake. In fact is holds a number of the world’s highest lakes. Oh and it lies in the longest (above water) mountain chain in the world. In March 2018 another “highest” record was set. 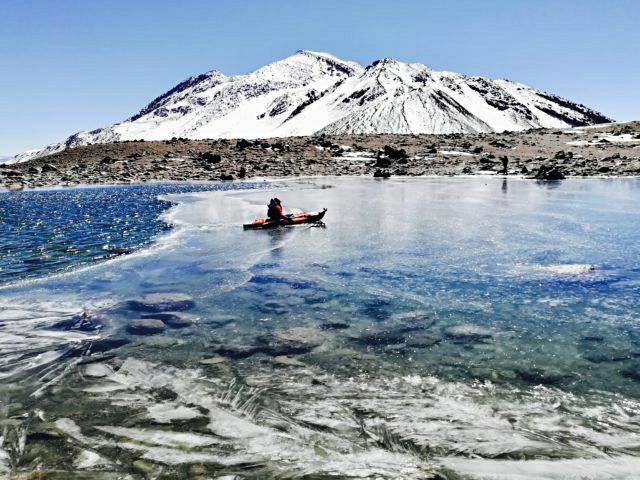 This time it was the highest kayak ever at 5707m. This achievement was by Australian, Dan Bull, who was on my Sidley expedition. The previous highest kayak is thought to have been one down parts of the Dudh Kosi river in 1976. This river is fed by the Khumbu icefall at the foot of Mount Everest in Nepal. 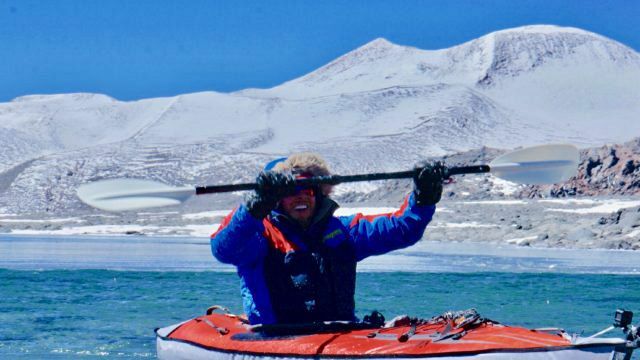 The team there started at around 5500m with ten to 15 fibreglass boats. Only two of the boats made it to the end. 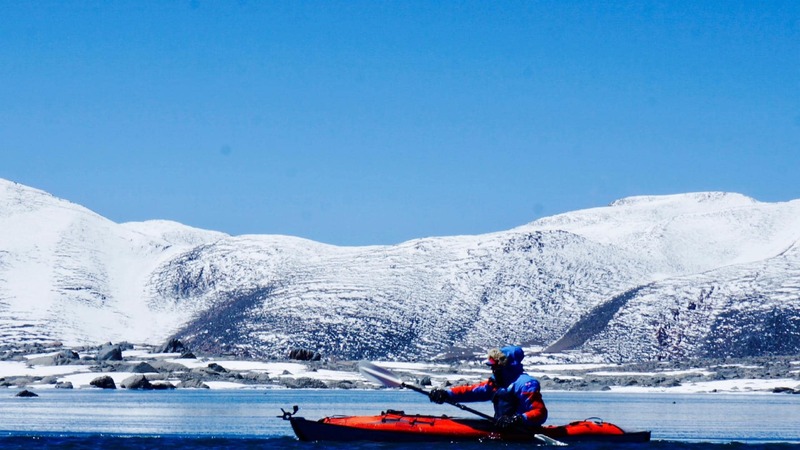 Dan’s record was achieved over a 2.5km route on one of the lakes nestled on the flanks of the volcano. It was not even the highest lake. The ice was too thick on that one. 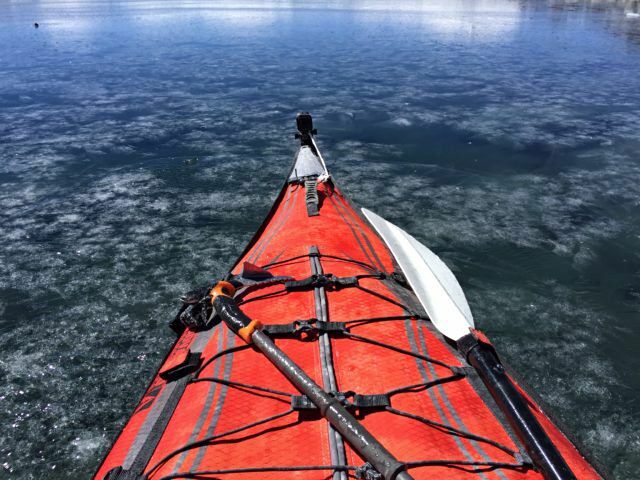 Even so Dan had to break ice as he paddled to clear a way. Once done he was able to paddle the whole 2.5 km. Here are some pics and a video. Mad! And I understand that he has other plans for a different record on this mountain. Another Volcanic Seven Summits Completer! I am able to report on another person who has completed the Volcanic Seven Summits. That person is Ted Fairhurst from Canada. Regular readers of my blog will recall that I mentioned in February that Ted was having difficulties with the weather on Ojos del Salado. Ultimately the weather defeated him at that time. 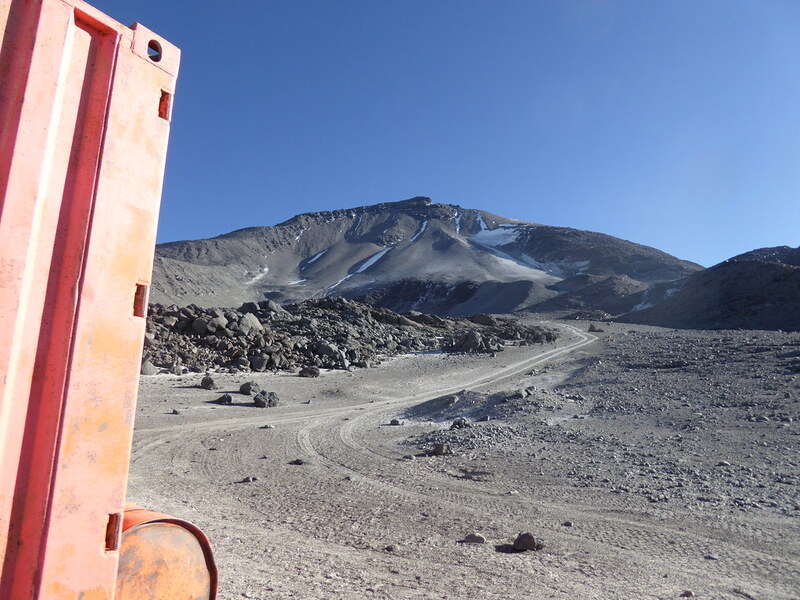 But Ted has been back to Chile and he managed to reach the top of Ojos on 9th December 2018. In so doing, Ted has become the oldest person to complete the Volcanic Seven Summits and also the oldest person to complete the Volcanic Seven Summits/Seven Summits combination at the age of 71. Yes 71! 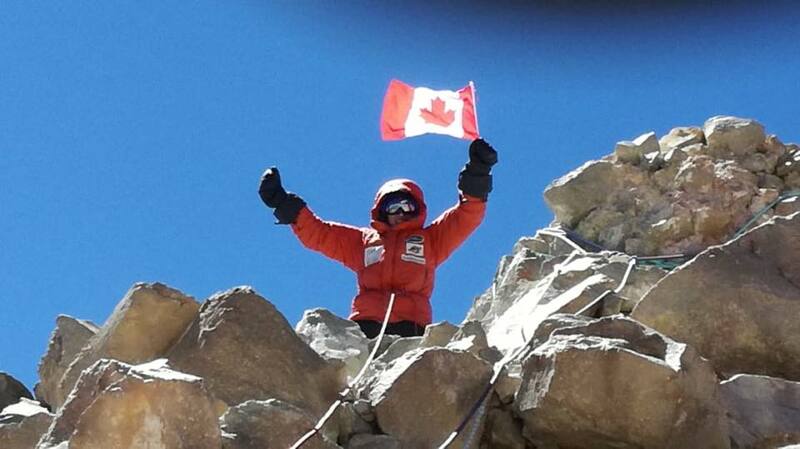 He is also the second Canadian to complete the Volcanic Seven Summits after Paul Nicholson. Here is a short video he took at the summit. 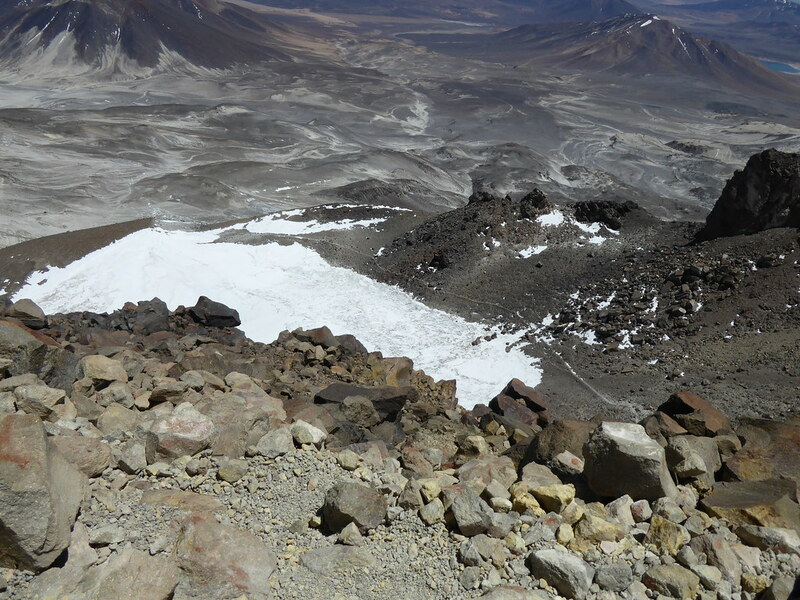 Ted’s original hope was to climb all seven of the volcanoes whilst he was 70. He started out by climbing Elbrus for a second time (it is also one of the Seven Summits) on 2nd June 2017. So he has actually climbed all seven volcanoes in around 18 months. So I have updated the list of completers and this is set out below. We can anticipate at least two more completers in January when ALE run their trip to Mount Sidley. I will post another blog or two about this trip later in the month. Aleks Abramov, Vitaliy Simonovic, Dan Bull and Ted Fairhurst have also completed the seven continental summits (both Carstenz and Kosciuszko versions). 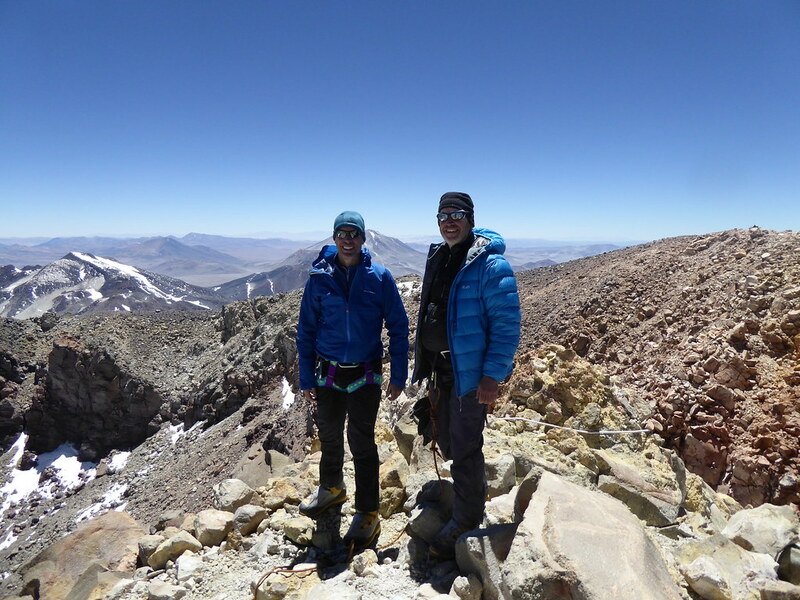 Mario Trimeri, François Bernard and David Hamilton have completed the seven continental summits (Carstenz version). Andrey Filkov and Katie Sarah have completed the seven continental summits (Kosciuszko version). Here are three videos, all taken by Derek on the ascent of Ojos del Salado. The latter two show my slow, stumbling arrival at the summit. Boy was I relieved to get there! The first shows the extreme aridity of the area where were climbing. That said a glimpse of Laguna Verde can be seen in the distance from around the 30sec point in that video. Laguna Verde was where we waited out most of the time for the weather window to make this climb. We ended up being extremely lucky with the weather on the day of our climb. The air was almost still if a little bracing at -10C on the summit but the solar radiation made it feel a bit warmer. I doubt that I will ever reach a higher point on the Earth’s surface now, so these videos bring back happy memories though do not quite expunge the hardships endured in achieving the summit. Nor should they – a reminder that things you want to achieve should never be made too easy! Thanks to Derek for the videos. In my previous blog I explained how for big mountains it’s often the case that you have to wait for your moment. In Ojos’ case the two big factors (at least from my perspective) were the weather and my health. Those who have read previous posts may recall that Ojos del Salado means Eyes of Salt or Salty Eyes. The forecast seemed to have settled for a good day on Wednesday, 3rd December. The last time my cough had been tested on our acclimatisation climb to 6000m, things had been looking up. So on Monday, 1st December we loaded up our Nissan Trooper with gear and provisions for four days (though we didn’t really have a fourth day available). 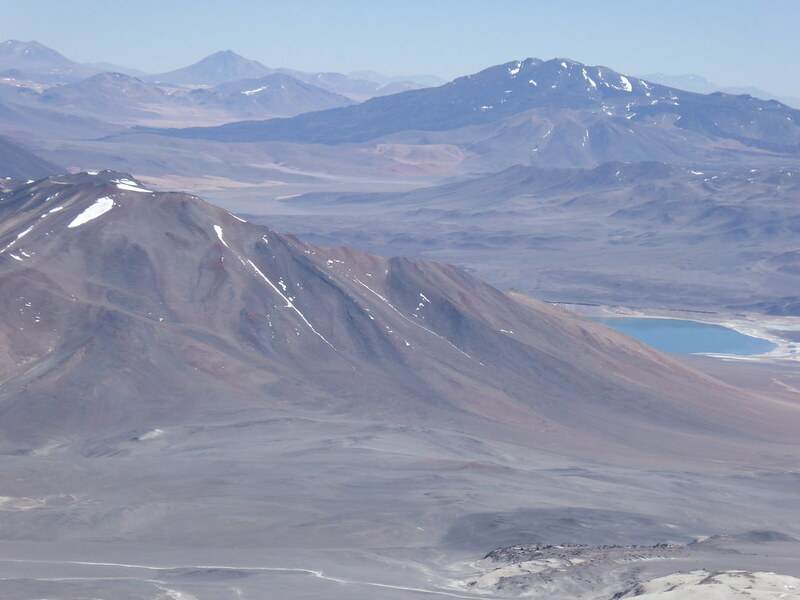 From the road from Copiapo to Laguna Verde, Ojos del Salado is clearly visible. It looks quite close but such is the size of the mountain, it actually lies 15 miles away. The Nissan’s capabilities were tested on the approach as we bounced and pitched along washboard roads, sand beds from seasonal rivers and stony ground. It took almost an hour to cover those 15 miles. One is able to drive all the way to base camp. For a change it was cloudy and the whole place was raw with the forecast strong winds. 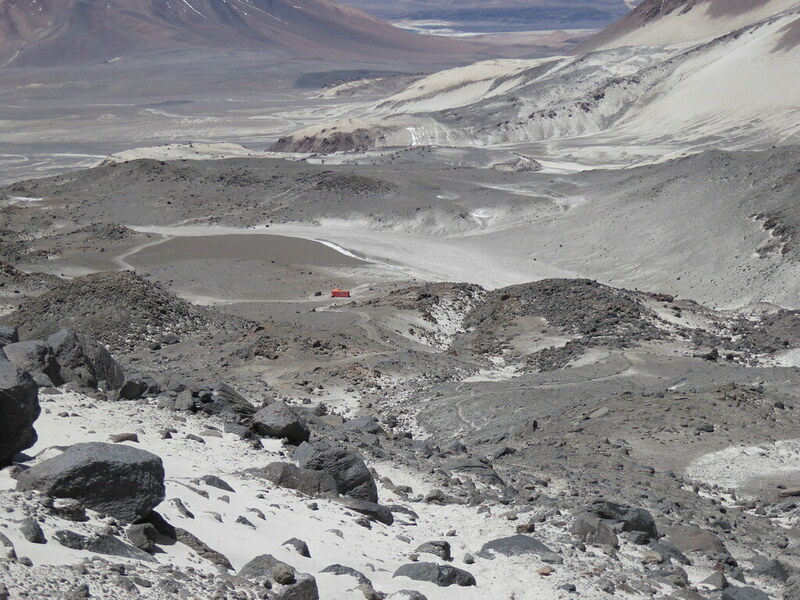 There is a small refuge, (the Atacama Refuge) and some exposed camping spots. Outside the Refuge a car was parked. This belonged to a Spanish husband and wife – Nico and Isa. Enrique, our driver, left us for Laguna Verde. The Refuge is small, perhaps 8 metres by 2 metres. However, glad for the company, Nico and Isa were happy to share the space and we were equally glad not to have to camp. So we whiled away the afternoon drinking tea and coffee and finding out what each other had done in mountaineering terms – which in their case was a lot, including climbing Mont Blanc together on honeymoon. Nico also produced the gadget last seen in Mexico that measures oxygenation levels in the blood and pulse. I was at 84% and Derek was at 82% both perfectly good measures for that altitude. But Derek had an amazing pulse of 62bpm whereas mine was 100bpm. 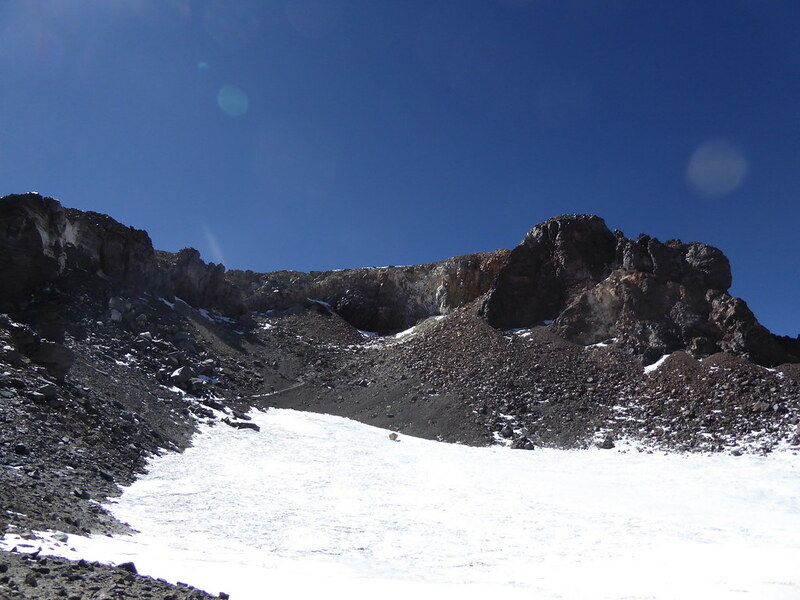 So the next day, Tuesday, it was time to move up to Camp 1, the Tejos Refuge. We decided to leave relatively early to ensure we had space in the Refuge as we had heard rumours that another group might be heading there. This avoided the need to carry tents but it was still the heaviest load carry of the trip so far. The distance is only 4 kilometres but there is a height gain of 600m so it takes 2 1/2 to 3 hours. Derek was in fine form again. My coughing seemed to have taken a relapse. I only arrived at the Tejos Refuge before Edu because of the enormous pack he was carrying. This was an unpleasant surprise and my confidence was knocked. I also had to bear in mind that if I started out on the summit attempt but had to turn around, then that would also be the end for Derek because mountain guides do not let clients go alone in the mountains. Nico and Isa followed on a few hours later. 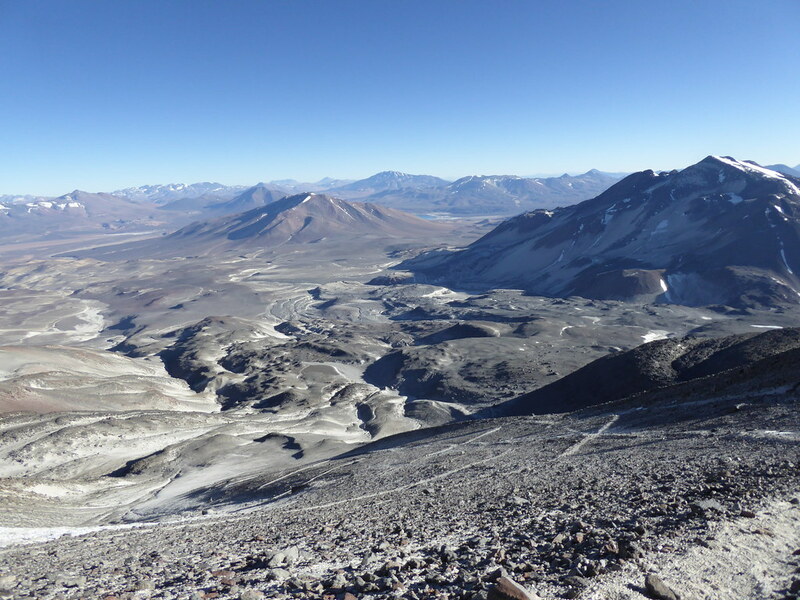 The Tejos Refuge is much larger than the Atacama Refuge. It is made up of two small shipping containers welded together in an “L” shape. There are 6 beds. More occupiers might be squeezed in on floors and there are camping spots outside. There is a food preparation area plus a table seating six. 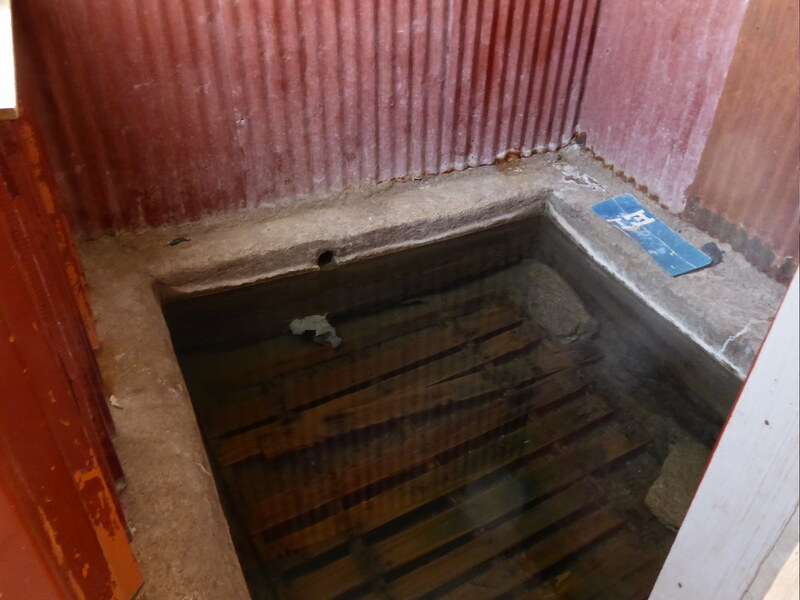 To save weight on the carry up to the Tejos Refuge we had not brought much water. We knew there was snow nearby so Edu and Nico collected some and boiled it for cooking and flasks. Summit day would involve a 2am wake up and a 3am departure. It can be a long day – anywhere between six and eleven hours for the ascent alone, covering an elevation gain of around 1100m – something I would do easily in Scotland (but of course there is not the effect of altitude there). Nico and Isa would follow the same timings. Although we were settled to sleep by 8pm I do not think anyone had more than a couple of hours broken sleep. I was hot in my sleeping bag but putting an arm out would lead to it becoming cold very quickly. I was also worried about my cough which had returned with a vengeance. People began to stir around 1.30am. I did not feel much like getting up! But of course it was necessary. Breakfast comprised lukewarm porridge and even cooler tea – just right for the exertions ahead! Nico and Isa left at 3am on the dot. We followed around 15 minutes later. The forecast seemed to be right. There was hardly any wind. But it was cold. Up top I had on two base layers, my Rab Primaloft top and my Rab down jacket. Down below I had on thermal leggings and my Paramo trousers. The La Sportiva Spantik boots were being given their first test. 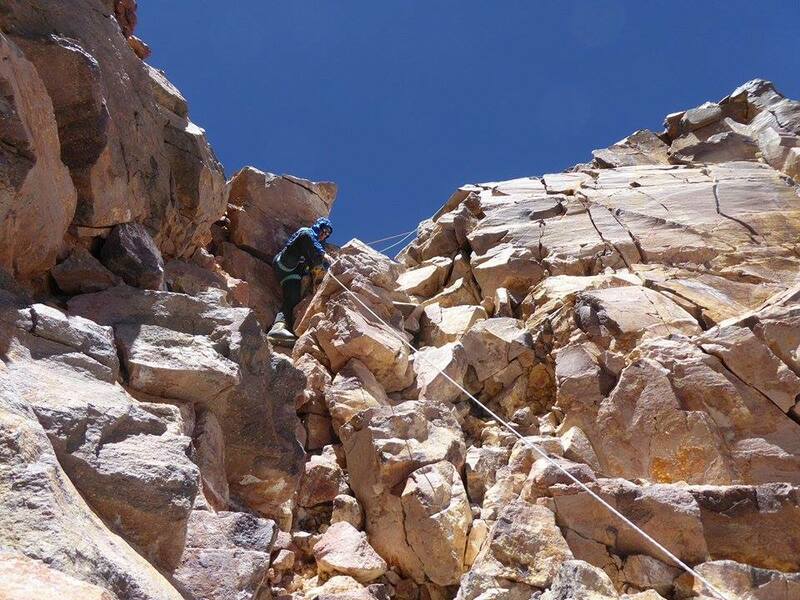 We also had on our harnesses for the final climb up the summit block, assuming we made it that far. Edu set us off on a very gentle pace. Of course for the first 120m of elevation gain we were on familiar territory even if we could not see much of it in the dark. After 40 minutes we were on new territory. So far the ground underfoot had been sandy yet firm enough. We had studied the route in some detail the day before so knew that this was going to change. However we could only see just over 50% of the entire route from Tejos. The path turned to scree and rock and began to zig-zag more steeply. After 2 1/2 hours the red tinge of dawn appeared on our left. Soon after the shadow of the mountain appeared to our right. It was very cold even without much wind. My finger tips could not get warm and my super dooper high altitude boots merely kept my feet cool. Although I was generally keeping up with Edu and Derek I had to insist on a couple of food and drink stops. At this point the coughing wasn’t too bad. I was also slightly comforted by the fact that we had caught up and passed Nico and Isa. As the sun rose in the sky so Derek’s strength seemed to grow and my management of my cough seemed to fail. There were times when I simply had to stop to allow for oxygen to come back to levels needed to operate my legs or to indulge in a coughing fit which could last five minutes. The scree turned purgatorial. Now it would slide away beneath your feet. I cursed the need for the extra energy required to deal with this. At Derek’s suggestion I dumped my rucksack. This did help a bit but meant I was dependent on others for food and water. Popping over the skyline visible from Tejos there was still another 500m of ascent. In other words we were only slightly over half way. If the scree had been bad up until then, the next 300m of ascent were probably the worst that I have ever experienced in the mountains (it put the Izta experience into the shade due to its sheer relentlessness). No foothold was secure. The uncertainty as to whether (or the extent that) your next step would hold added to the effort. On occasion I would slip back further than I had just stepped and would lean forward groaning and gasping on my poles. Would it ever end? Of course it would. At the end of that 300m you suddenly pop over the rim of the crater. I always find it interesting to see what is revealed at this point. No two craters are the same. Ahead and 200m higher was the summit on a part of the crater rim not blown away by some pre-historic explosion. The path curled around and up to the left, so avoiding the crater bottom a permanent field of cracked ice and snow. Derek appeared out of the jumble of rocks ahead offering some food and water. Edu was not to be seen. He had gone on ahead to check the route. Derek and I went on to where he had dumped his rucksack and we sat down to take in some sustenance. It was all a little difficult to take in. Now that I had reached this point any lingering doubt that I would not reach the summit was dispelled. That is not to say that it would be easy as there was still 200m of ascent, but the weather was perfect and there was still the time. Edu appeared in order to provide some confidence to us. The effect of the altitude was now palpable. Neither of us had headaches. But the effort required to move was remarkable. After only a few steps you had to stop to catch your breath. We clambered up through the rocks in a gully towards a col that splits the twin summits, the western one being slightly higher. Just short of this feature I had another coughing fit. Edu was clipping Derek onto a rope as this happened and Derek climbed up almost to the summit. Then it was my turn. The climbing, even in big boots, was straightforward. There were big holds for hands and feet. At a couple of points it became airy as I swung out over big voids. But I was soon just short of Derek who was helpfully taking a video of my approach and when I looked up I was again gasping for breath from the effort of the final climb. I have not seen the video but I suspect that I did not look at my best! 15 seconds later we were all at the summit. It was 11.45am – 8 1/2 hours after we had set off. Derek congratulated me with the confession that he hadn’t thought I would make it. To be fair, there were times I was not sure whether I would. At that moment it was probable that we were the highest people in the world (it being outside the Himalayan climbing season and Aconcagua was stormbound). A tin box containing a book to record ascents was adjacent to the small summit cairn. I wrote a short note in it. Photos were taken and the views admired. Nico and Isa could be seen 50 metres below and another pair had just appeared over the crater rim way below. After all the time and effort in reaching the summit it was time to go. I led the downclimb and was soon on slightly less vertical ground, close to Nico who was preparing his ropes. I celebrated this by proceeding to have one of my worst coughing fits! Derek and then Edu followed on the downclimb. The terrain back to Derek’s bag was a little awkward. We passed the twosome I had seen earlier from on high. Both seemed spent. But after then the scree that had been so toilsome on the ascent worked in our favour on the descent. A climb that had taken 8 1/2 hours took just 2 hours on the return and that included a 10 minute stop when collecting my bag. It just shows how gravity can help. As usual Derek sped off ahead. Separately we stopped to chat to a group that contained a couple of Brits – unusual because Brits normally ignore the Chilean Andes. Even better, when we got to the Tejos Refuge Enrique was there with the car! We knew that a few days earlier a group had been making the upper section of the road passable by removing rocks. Although the time saved was only 40 minutes or so, his presence was most welcome. We took off excess clothing. It was busy around the Refuge. We chatted to a Dutch guy. Another brief weather window had brought people out. Even around the Atacama Refuge which we passed a little later it almost looked pleasant. Without the wind the prospect of spending some time there almost felt attractive. Parked nearby that Refuge was a Mercedes truck that was to be used the following day in an attempt to set a world record in seeing how high a motor vehicle could be taken. Ojos already holds that record. We spent that night tired and happy back at Laguna Verde and I celebrated with a dip in the thermal pool in the hut by the lake side. I consider my success on Ojos as hard won and a little fortunate. There were times when I was battling with the 30% of mountain climbing that relies on mental fortitude. We were lucky that we were able to hold out for a perfect climbing day (an organized commercial expedition would not be able to do that), and I was very fortunate that my climbing colleagues put up with my cough problems not only on the day itself but also during the preparation period. And the tears of the title? Oh that would be telling….